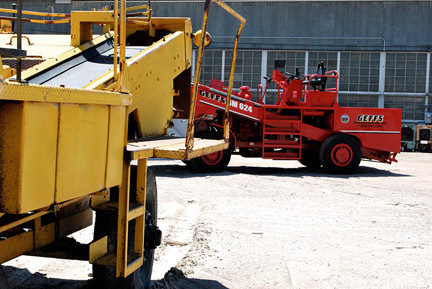 We bring 75 years experience designing, manufacturing and servicing road construction equipment--primarily chip spreaders and construction brooms. 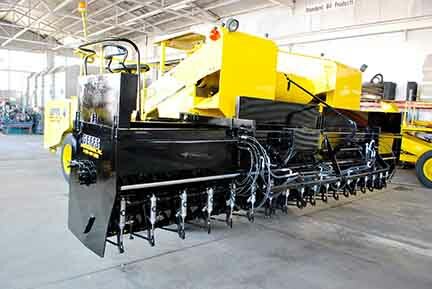 Our founders developed the first self propelled chip spreaders ever built. We are located in The Historic Paul Robert’s machine shop building in Old Town Pocatello, Idaho. 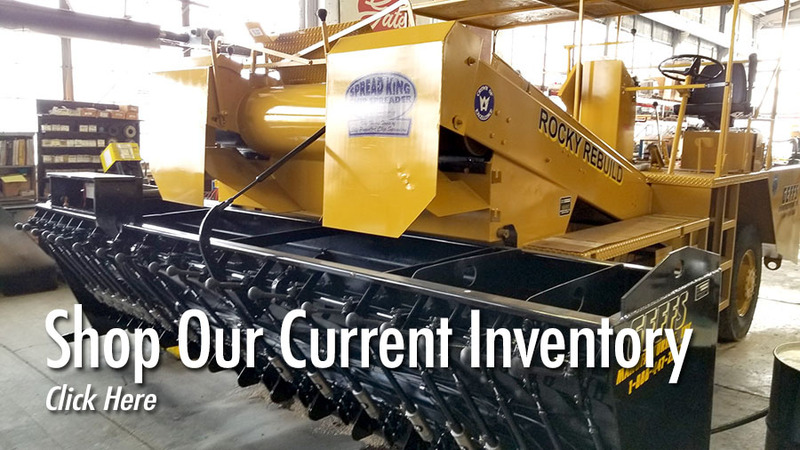 We are currently focusing on our Rocky Mountain Rebuild program--the world's largest and most comprehensive rebuild program for used chip spreaders. 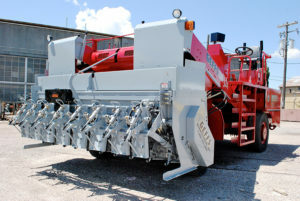 SEE OUR CURRENT USED CHIP SPREADERS FOR SALE HERE. For more details on this innovative approach to extending the life and productivity of used chip spreaders, visit rockyrebuild.com. 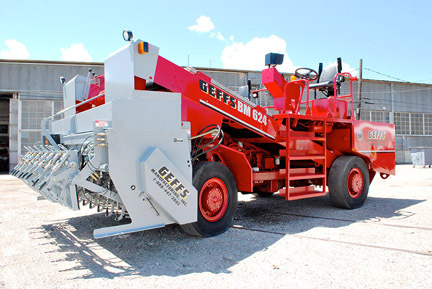 GEFFS has begun a rebuild program to extend the life of your chip spreader. Cost half of a new chip spreader. Factory rebuilding of your existing chip spreader. Comes with a 1 year warranty on chip spreader and limited warranty of power train. Click here to see what we do to your chip spreader. Looking for a aggregate chip spreader, side delivery, tailgate spreader, or road broom that will last? See our products and give us a call at 208-232-1100 or toll free at 888-447-2882. EXPANDABLE HOPPER WITH RATE & GATE CONTROL UPGRADE: FOR MORE INFORMATION CLICK HERE. If your chip spreader has hydraulics you can upgrade with our hydraulic actuated gate control system. Let GEFFS quote you on a Plus 1 Rate Control System upgrade for your machine. Easy to install and easy to operate. CLICK HERE TO VISIT OUR RATE CONTROL UPGRADE INFORMATION PAGE. Need more versatility with your chip spreading? 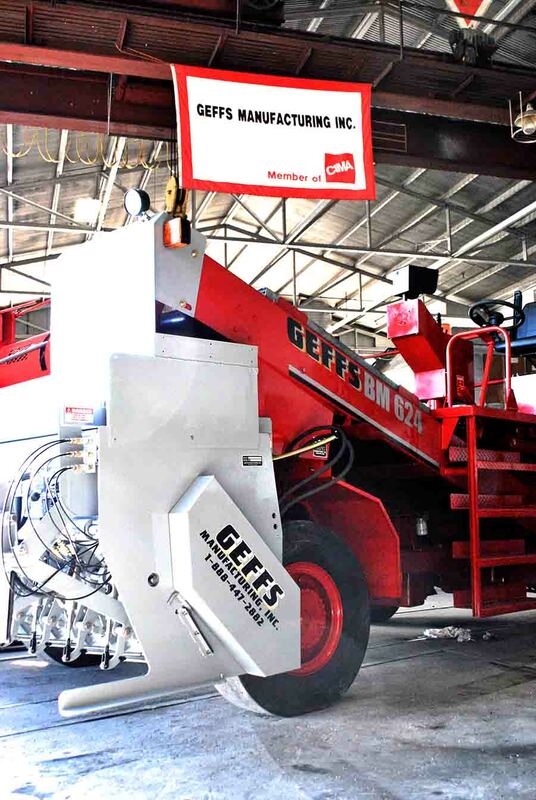 GEFFS offers a proven Expandable Hopper 10 ft - 16 ft with a Rate and Gate control system. Hopper shrinks to 10 ft 8 in for travel and can be expanded to 16 ft for chip spreading. Your existing chip spreader must have hydraulics available. 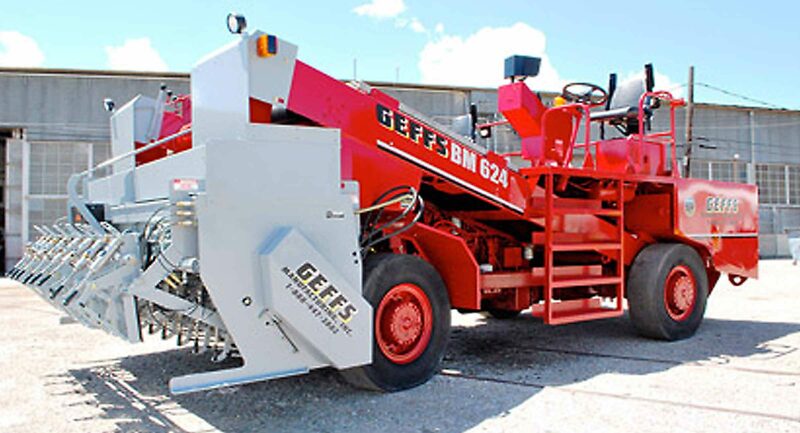 GEFFS Manufacturing's legacy goes back to the winter of 1942, when Willard Horner developed the world's first self propelled Chip Spreader right here in Pocatello, ID. We're proud to carry on WH's tradition of excellence with the world's finest Chip Spreaders, parts and service. 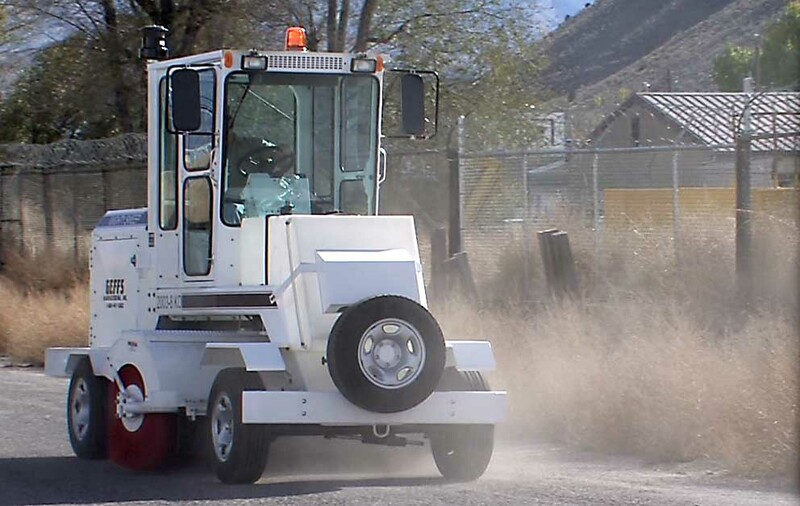 Along with excellence in Chip Spreader manufacturing, repair and maintenance, GEFFS Manufacturing also makes, repairs and maintains the world's finest self propelled Construction Brooms, including our proprietary Mighty Sweep Series. GEFFS introduces Rocky Mountain Rebuild, world's most advanced program for evaluating, repairing and rebuilding Used Chip Spreaders. We will inspect and qualify your used Chip Spreader, then consult with you directly on options for repairs and upgrades, or even complete rebuilds, that can save you $100,000's over the cost of a new Chip Spreader. Excellence, performance and accountability are at the heart of everything we do at GEFFS Manufacturing. We buy, sell, exchange and rebuild Chip Spreaders and Construction Brooms and ship high quality, reliable machines to clients all over North America. Our Mighty Sweep Construction Brooms set the standard for broom quality, longevity and performance. What sets us apart is the personal and customized service we bring to every client, every job, and every machine. We are a hands on, small batch manufacturer focused on complete quality in everything we do. We hold ourselves accountable to the highest professional standards and we stand behind our products and our work. We'll be here to take care of any issues and make sure you get what you need. 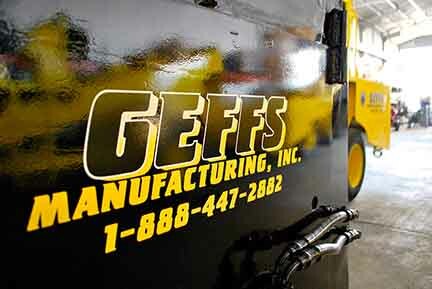 Carrying on a tradition of equipment innovation and manufacturing that started right here in 1942, GEFFS Manufacturing is your go to resource for Chip Spreader and Construction Broom purchase, repair, parts, and custom rebuilding. We make sure your equipment runs, and runs right.